Never be afraid to give life to the music playing in your head! Indie folk/pop duo Pueblo’s new song “Nausea” is a well-constructed tapestry of sound that exemplifies the power of musical creativity in this day and age. The warm acoustic track comes alive in a swirl of colorful sounds and playful melodies that allow Pueblo’s genius to take flight. Atwood Magazine is proud to be premiering “Nausea,” the latest single off Pueblo’s forthcoming debut EP Boring the Camera (out 3/31/2017 via State Fair Records). 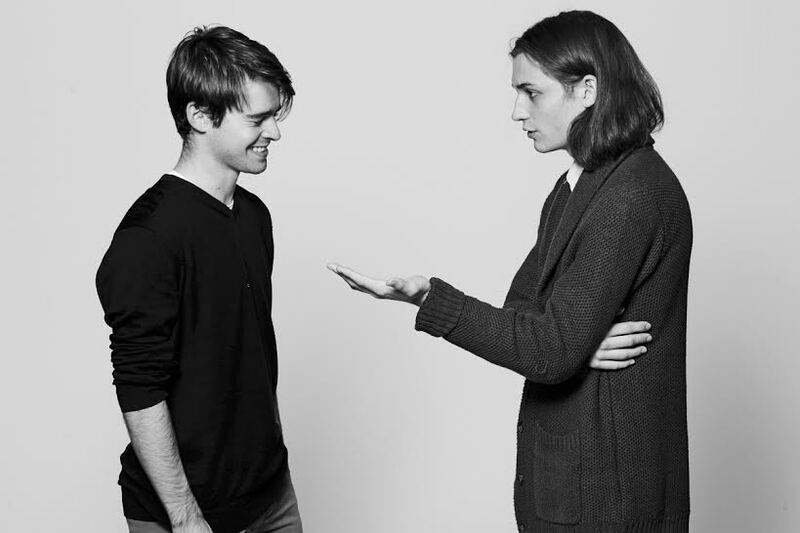 The Brooklyn-based duo of Jonah P. Smith and Julian P. Smith (not brothers) offers a dreamy blend of folk, pop and electronic music that lulls the listener into a dreamy, hypnotized state. “Nausea” is a carousel of emotion, a complex moment of lyrical and musical prowess hidden under the veil of simplicity. The song constantly builds upon itself, a theater of interwoven musical themes held constant by Julian Smith’s impeccable finger-picked acoustic guitar. Pueblo are an anomaly in today’s music, their easy-going nature a ruse that is almost too easy to succumb to. We want to be a part of their world, drowned in Jonah Smith’s self-deprecating honesty and Julian Smith’s random riffs. There is beauty in sporadic behavior, especially when it crests and troughs so naturally. 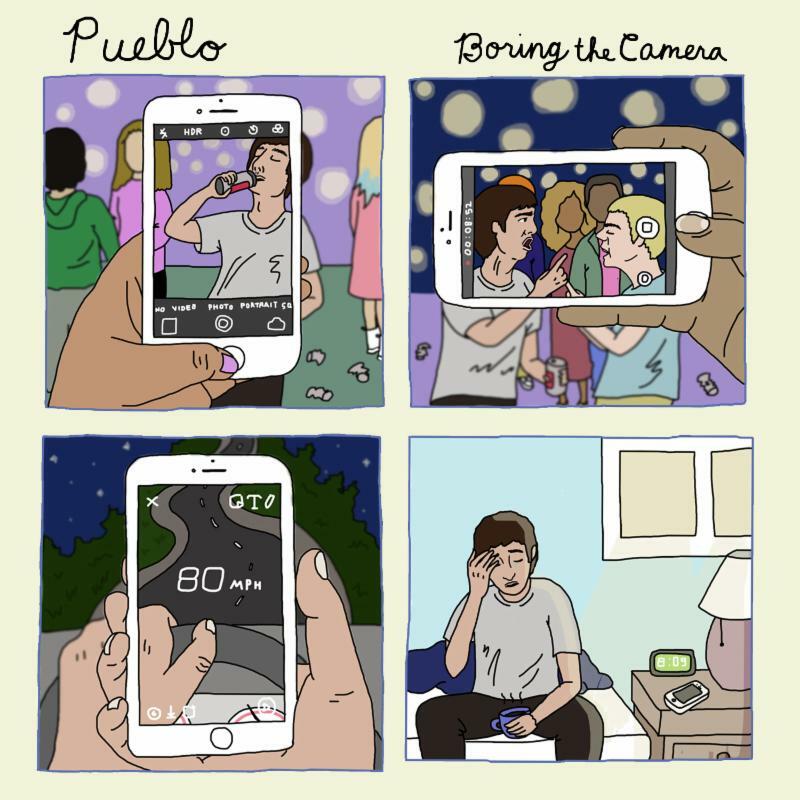 Pueblo’s music is reminiscent of The Format in its playful exposition, a welcome return to complex musicality that the music world has, of late, dearly missed. So now what’s the point of biting down? What’s the point in telling lies, to walk on shells? trace my steps and keep finding you. 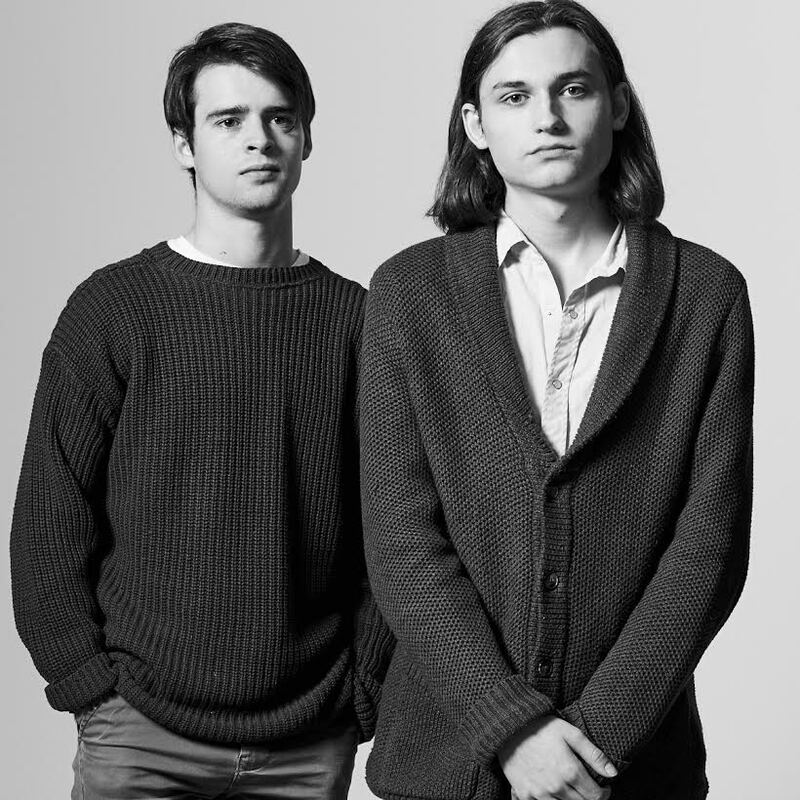 Pueblo offer a contemporary millennial voice through balladry that speaks to a generation of soul-seekers in search of meaning and justification for their lives. Pueblo may not come away with the answers they want, but songs like “Nausea” speak to a deeper sense of internal conflict that persists in all of us: A resolute longing for self-awareness and self-confidence that will always be inachievable in our youth and young adulthood. Be on the lookout for the Paul Williams-produced Boring the Camera, out March 31, 2017 on State Fair Records. Pueblo will certainly be an artist to watch this year as they lay the ambitious groundwork for a bright and promising future.